What If Arrested Development Fails? It’s a question near and dear to the heart of every “Arrested Development” fan. For 7 years we’ve been clamoring and campaigning to bring the cult hit back to the airwaves. There have been many false starts and glimmers of hope, hints and clues dropped by various stars that a reunion might occur. Then out of the blue came the confirmation: “Arrested Development” was really and truly coming back. And not just for a brief reunion, but for an all new fourth season. Come on! This was unthinkable news. The cult of “Arrested Development” has been steadily rising since the show went off the air in 2006. Many young adults discovered the show on DVDs borrowed from friends who couldn’t help telling people they were making a huge mistake if they had not seen it. This Sunday all 15 episodes of the fourth season debut on Netflix. Still, the question remains in articles like this from The Hollywood Reporter: What if it fails? 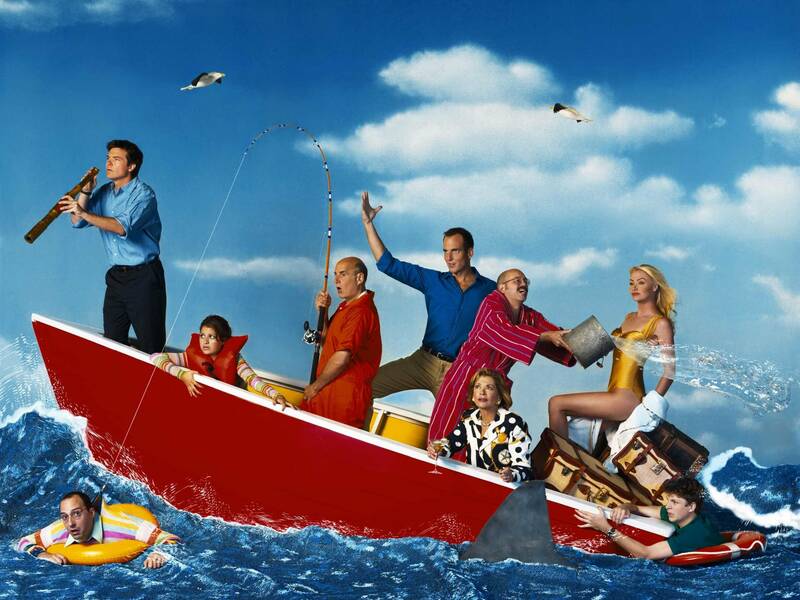 What if the fourth season of “Arrested Development” does not live up to our expectations? What if the magic tricks (I mean illusions) have worn off during the seven year layoff? What if the twisted and inventive humor that characterized the show has lost its edge? What if everything we’ve waited for is just a disappointment? Aren’t these the types of questions that suffocate our souls each day? Aren’t these the questions that disrupt our dreams? The question “What if it fails?” has stopped many a dream dead in its tracks. The possibility of failure is enough to keep many of us from trying a new adventure in life. But the fear of failure should not be the factor that stops us. It should be the signal pressing us forward. If you’re asking yourself the question, “What if it fails,” it means you’re doing something important. You’re working on something you care about. So what If season four of “Arrested Development” fails to be the masterpiece we have framed it to be for so long? It’s trying something which has never been done before in 80 years of television. This little show that never quite caught on for three seasons may just rise from the dead to become an all-time success story. To me the fourth season of “Arrested Development” is already a success because the creators, cast, and crew dared to ask the question “What if” -What if we didn’t give up? What if we attempted something no one has ever done? What if we tried again? If it’s not the comedic masterpiece we all want it to be, it’s ok. Life will move on. The show was never a hit in the conventional sense in the first place. The worst that can happen is the show fails to match up to its predecessor like so many sequels before. At least they tried. But what if it’s something more? What if it’s something greater? For all we know it could be a revolution in television comedy, as this AV Club article posits. And we’d never even be talking about it if people behind the show had let the “What ifs” stop them. The “What ifs” in life have the power to do two things: They can either stop you dead in your tracks or they can inspire you to blaze a new path. What’s your “What if” and how will you respond to it? Don’t do a chicken dance as you enter the world today. Don’t be afraid to fail. Trust there is something to learn from every failure. Trust every failure is just a chance to lean further on God. Trust He will work in your failure to bring about something beautiful from it. He always does. Where have you struggled with the question of “What if?” in the past? What’s a “What if” you’ve been asking yourself lately?